It’s great, right? I just remembered that I really need that couch too. Oh. And maybe the lamp. 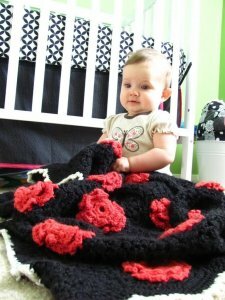 The baby afghan is made up of solid color hexagons, flower hexagons, and a few half hexagons, and then finished off with a contrasting picot edge. I really love the way it turned out, and I am contemplating a larger version for my couch. 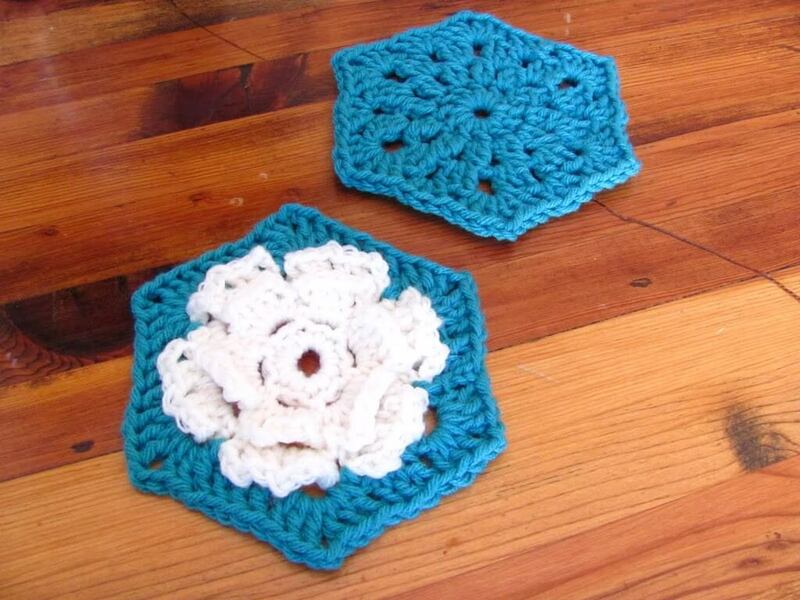 I started crocheting hexagons after stumbling upon Attic 24‘s beautiful and incredibly helpful hexagon tutorial. 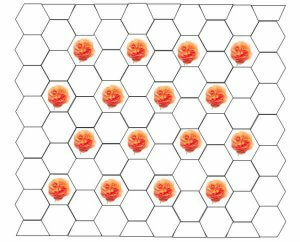 She also includes some great information and images on how to join hexagons as you go. I would definitely recommend checking it out! 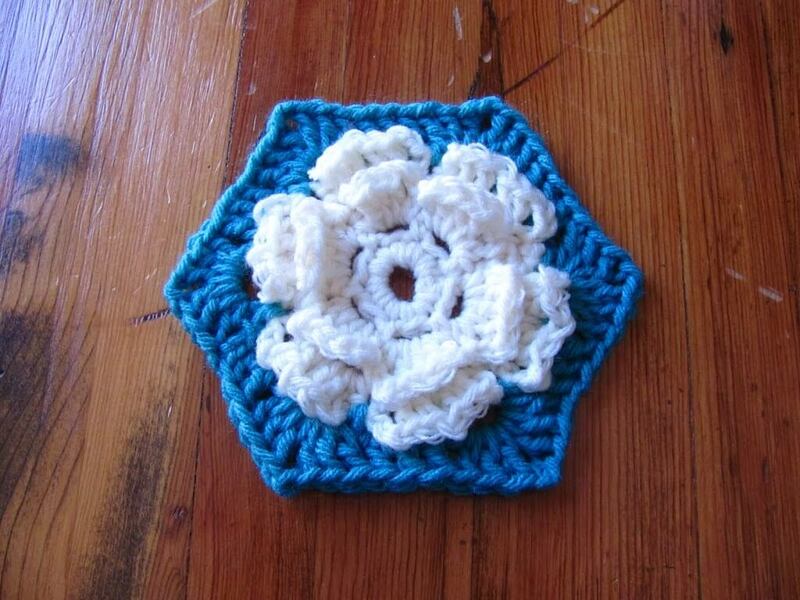 For my afghan, I ended up using a slightly different hexagon than what is described at Attic 24. My patterns for the solid hexi, flower hexi, and half hexi are below. 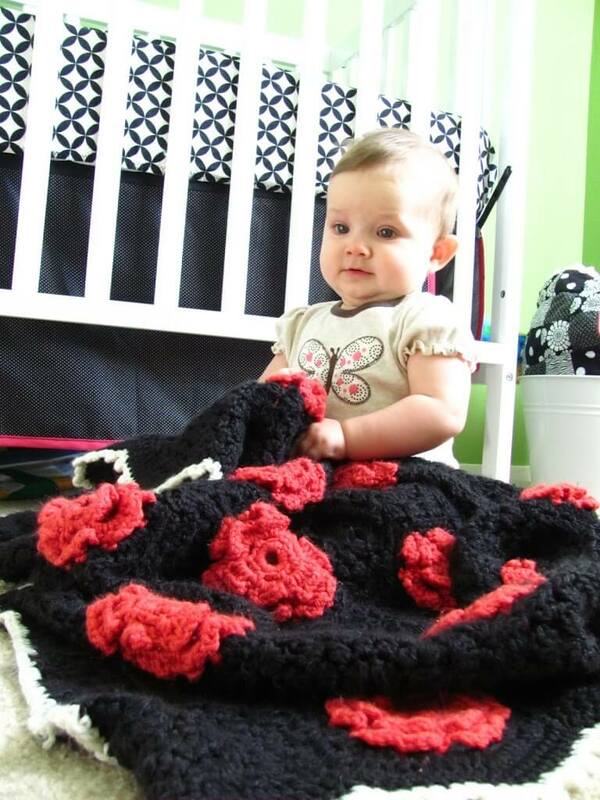 For the baby afghan, you will need 10 half hexis, 16 flower hexis, and 54 solid hexis. 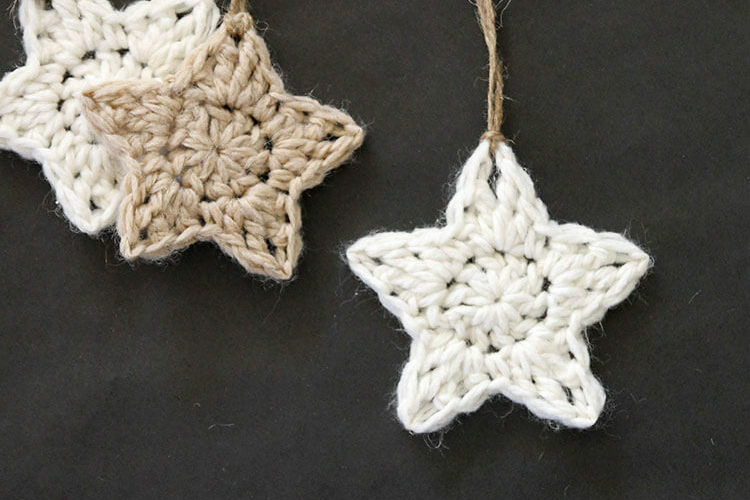 You can make all the blocks first and then sew them together or crochet them together as you go using Attic 24’s tutorial. 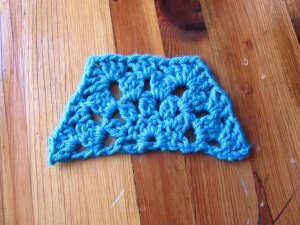 For the sample blocks, I used worsted weight yarn and a 6.5 mm hook. If you are using a different weight yarn, try a few solid hexis with different hook sizes to help you decide which hook will work best for your yarn. Ch 4, join into a loop with sl st. Round 1: Ch 3, 11 dc into loop; join with sl st in third st of initial ch 3. Round 3: Sl st to next ch 1 sp. Ch 3, 2 dc in same sp. Ch 1, 3 dc in each ch 1 sp. Join with sl st in third st of initial ch 3. Round 4: Sl st to next ch 1 sp. Ch 3, 2 dc in same sp. *3 dc, ch 3, 3 dc all in next ch 1 sp. 3 dc in next ch 1 sp. Repeat from * 3 times. 3 dc, ch 3, 3 dc all in next ch 1 sp. Join with sl st in third st of initial ch 3. 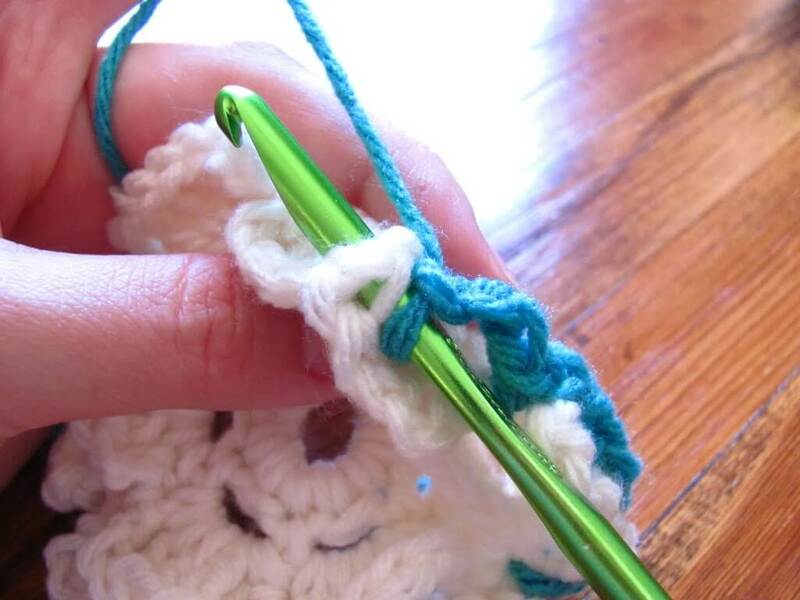 With first yarn color (white in sample block), ch 6, join into a loop with sl st. Round 5: Ch 1. (Sc, ch 3, 5 dc, ch 3, sc) all into each of next 6 ch 4 loops, join with sl st in first sc. [6 petals] Break off yarn. Round 7: Sl st to next ch 3 loop. Ch 3, 2 dc in same sp. *3 dc, ch 3, 3 dc all in next ch 1 sp. 3 dc in next ch 1 sp. Repeat from * 3 times. 3 dc, ch 3, 3 dc all in next ch 1 sp. Join with sl st in third st of initial ch 3. Ch 4, join into loop with sl st.
Row 1: Ch3, 6 dc into loop. Turn. Row 2: Ch 4, Ch 1, 2-dc bobble in next 5 sts. Ch 1, dc in third ch of previous row. Turn. Row 3: Ch 4, 3 dc in next ch 1 space. *Ch 1, 3 dc in next ch 1 space. Repeat from * five times. Ch 1, dc in third ch of previous row. Turn. Row 4: Ch 4, 3 dc in next ch 1 space. *3 dc in next ch 1 space. 3 dc, ch2, 3 dc all in next ch 1 space. Repeat from *once. 3 dc in next ch 1 space, 3 dc in next ch 1 space, ch 1, dc in third ch of previous row. 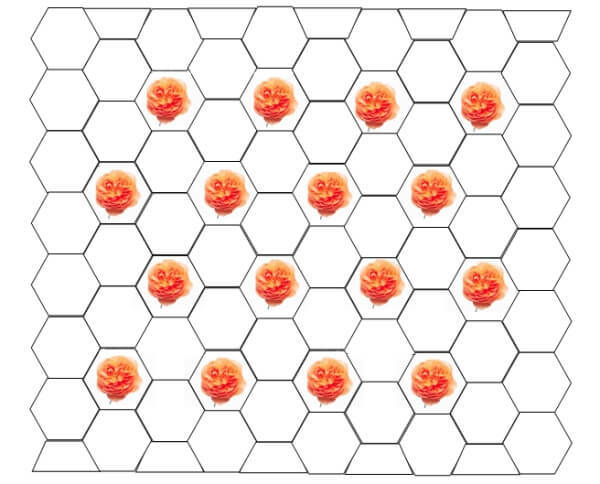 Below is a pattern for laying out your hexi blocks. After my afghan was all pieced, I added two rows of dc in the main color to the zig-zaggy edges. 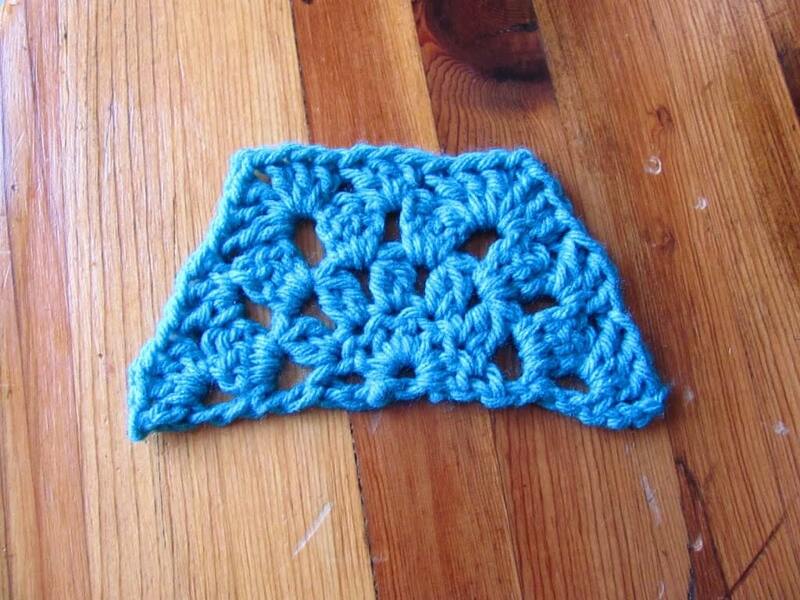 Then I finished it off with a row of sc in a contrasting color adding picots to the zig-zag edges. Wow, this is beautiful! 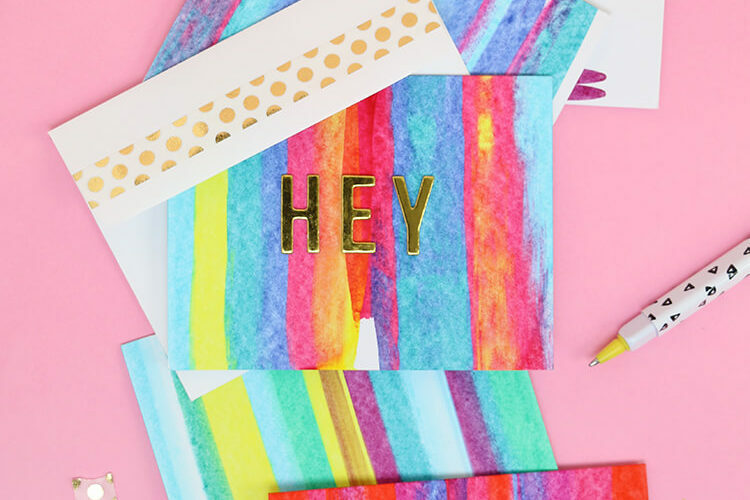 You did a really great job!<br /><br />Thanks for stopping by my blog, by the way! I love this! So very cute! Very gorgeous! you totally need a bigger one for your couch :-)<br /><br />Thanks for linking up to Fibers on Friday….and Welcome!! How adorable is this! I love it! Thanks for your nice comments and I am your newest follower! Girl I love this! What a talented designer! Keep it up! Found you through Neicee&#39;s blog. Love the afghan. Adding to my to do list. Thanks. Me gusta mucho como te ha quedado la manta, me encantan las flores.<br />Susana. Excellent work, all credit goes to a designer. Awesome, i am always looking for new ideas for artificial flowers. This is beautiful and unique. 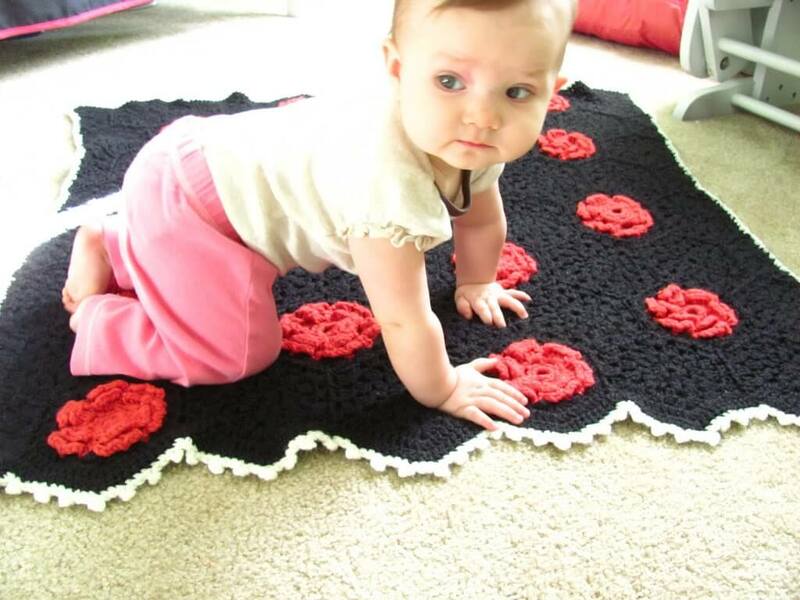 Has anyone else actually try to make this blanket? It&#39;s taken me 4 months. And now I&#39;m finally down to the half hexi&#39;s. <br /><br />What I don&#39;t understand in Row 3, it says to Ch4, Ch1. Does that mean to Chain 5? Or does it mean Ch4 and in Ch1 of the previous row do a 2 bobble? I&#39;ve tried both ways and I&#39;m getting some strange half hexis. 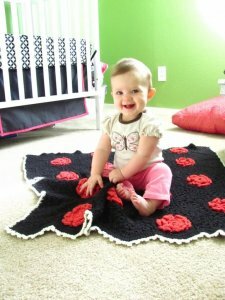 The blanket pictured in Stranger than Fiction sure looks like the pattern, Charleston Garden. The petals in particular are just like it. Thanks for posting your pattern! It&#39;s lovely! 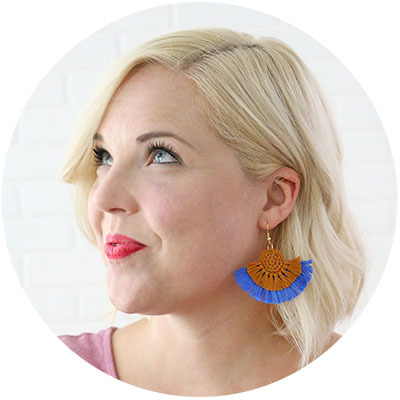 How did you join your hexi&#39;s? Did you do it as you went?